Emmeloord, 21 June 2016. 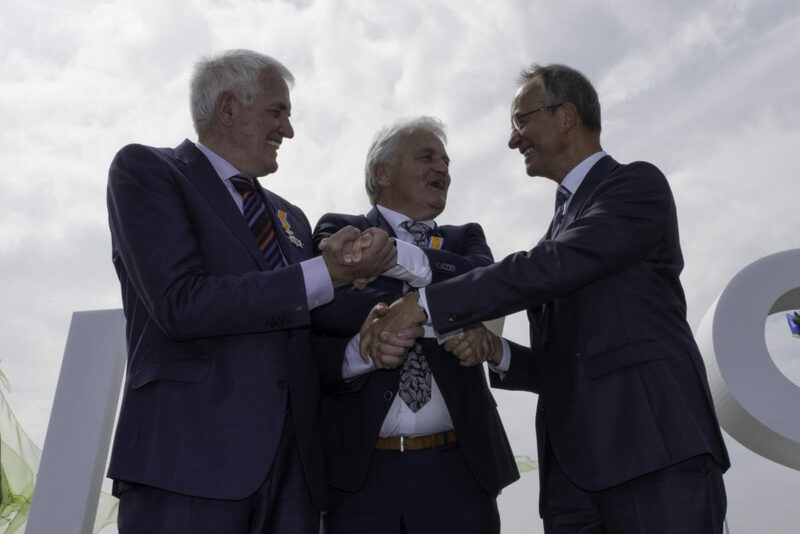 Today the Westermeerwind wind farm was officially opened by Minister Kamp and the two initiators of the wind farm, Tjitte de Groot and Peter Meulendijks. The 48 Siemens wind turbines of the largest near-shore wind farm in the Netherlands generate an amount of energy comparable to the consumption of 160,000 households. The installation of 48 wind turbines is completed in one year. The main contractor, Siemens, together with its subcontractors and the Westermeerwind project team installed 31,000 tons of material in one year, using 65 ships and barges in nearly one million man-hours. Several Dutch companies played an important role in this project, including Mammoet Van Oord for logistics regarding the foundations and turbines and VBMS for the installation of electrical cables between the wind turbines to the substation on the Mainland. The very windy location and quality of the selected turbines provide an excellent energy yield. At present, about 220 GWh of green electricity has already been generated. Siemens will maintain the wind farm for a minimum period of fifteen years. “Westermeerwind is thus a long-term boost to employment,” said David Molenaar, director of Siemens Wind Power. “Not only directly for the people who work here over the next fifteen years, but also indirectly for supply companies”. Initiators and local farmers Tjitte de Groot and Peter Meulendijks: “For us it was clear from the beginning that this wind farm should be a wind farm for and by the polder. Therefore, in 2017 about a year after the wind farm starts producing electricity, it will be possible for residents and farmers from the Noordoostpolder, Urk and former Lemsterland to subscribe for shares and bonds”. The wind farm supports local sustainable initiatives and organises educational projects for elementary schools. It is also possible for anyone to follow the production of Westermeerwind via the Westermeerwind app, available for iOS and Android. Westermeerwind was built in the waters of the IJsselmeer along the dikes of the Noordoostpolder. 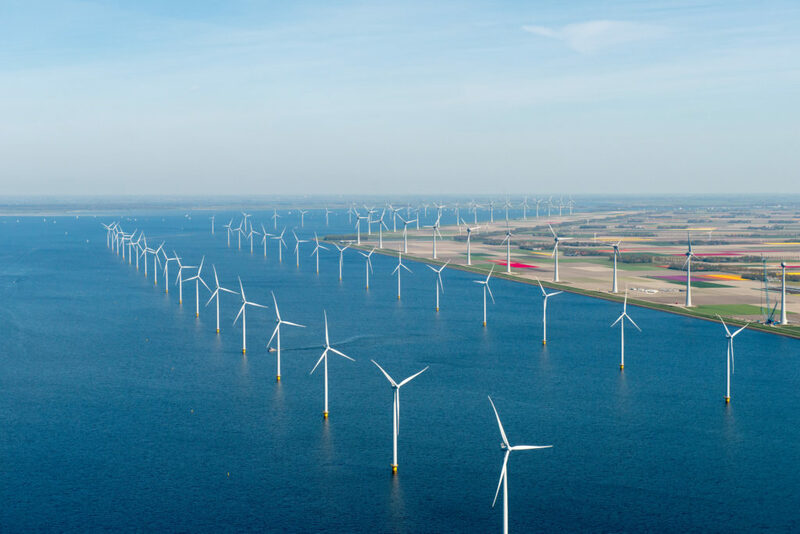 It is the largest nearshore wind farm in the Netherlands and consists of 48 wind turbines of 3 MW each – there are two rows running along the Westermeer dike and a single row running along the Noordermeer dike, as well as a transformer station on land. 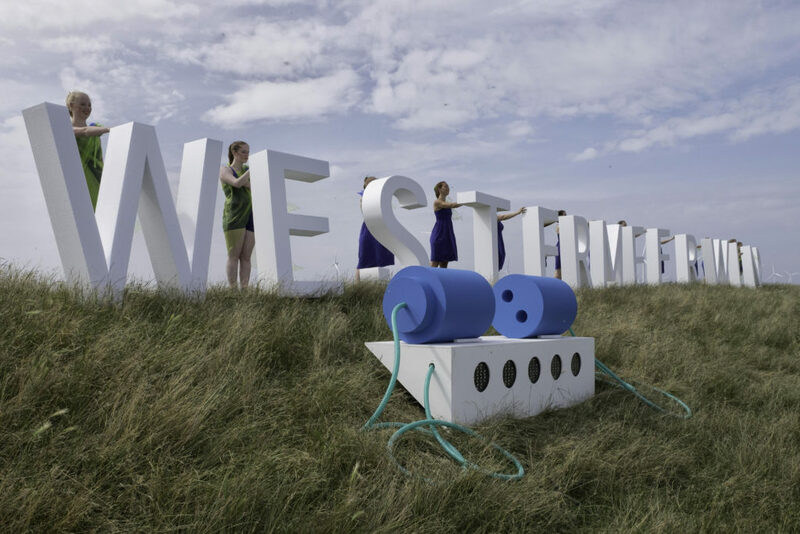 See: westermeerwind.nl Westermeerwind is part of the Noordoostpolder wind farm with 86 wind turbines in the water and on land, along the dikes of the IJsselmeer. See: www.windparknoordoostpolder.nl Westermeerwind outsourced the supervision of construction and operation of the Westermeerwind wind farm to Ventolines located in Emmeloord. 99% of the electricity is purchased via Eneco 99% by the Dutch Railways, which runs over one-third of Dutch trains on Westermeerwind electricity. We only tweet in Dutch.